Although “Cauchemar” sounds like it could be a Buddhist holy land of some kind, it’s actually the French word for “nightmare.” This title evokes just the right vibe of darkness and culture for a tale set in the bayou of the swampy American south. Alexandra Grigorescu tells the story of Hannah, whose mother is a legend for her ties to the spirit world, and is known for being a harbinger of death for men. Hannah’s mother warns her that “they” are coming for her, and throughout the book, Hannah struggles against the supernatural elements of her heritage as she attempts to lead a normal adult life. It’s a bayou thriller packed full of subtle, eldritch magical realism, and topped with a delicious layer of social dysfunction. One of the crowning achievements of this book is its descriptive methods. Grigorescu has a tremendous ability to describe bizarre events and compounded emotions, and she also crafted an environment that directly reflects the main character’s emotions and dreams. The entire book feels humid and wet, just as the bayou should, and this atmosphere seems to be able to shift, wrapping around whatever emotion the main character is feeling at the time. Whether Hannah is feeling scared and suffocated, or is in a moment of passion and pleasure, the mood pairs with her emotional state beautifully. The setting almost seems to invade the story like a separate, unspeaking entity – like a thick, clingy fog that consumes and dampens all it touches. I went to college in Florida, so I know this particular kind of weather far too well. It’s almost like it has hands. Sweaty hands. It’s gross. It feels the way beets taste. But anyway, Cauchemar is a tremendous example of just how heavily the mood and tone of a book can affect the story and the characters themselves. In addition to the setting, there is a certain kind of drama to Grigorescu’s word choice that I came to really enjoy the further I got into the book. In the first few pages, I felt some of her phrasings were a little overwrought. But once I was hooked into the story I came to love that her descriptions are a tiny touch over the line of comfortable. They’re just a smidgen too intimate, or too gross, or too socially awkward. They shake the reader up a bit, and it ends up being an incredible device. Grigorescu is somehow able to expertly describe the feeling of feeling multiple feelings at one time, which opens the door even wider to fabulous, uncomfortable character complexity. I felt a little squirmy at times while I read the book, and I imagine that was perhaps the intent. It’s still a graceful book and nothing is gratuitous, but the prose paces anxiously just outside the reader’s salt circle of comfort, forcing you to step outside the line in order to catch it. Even something simple such as zooming in on a character’s chapped lips during an uncomfortable exchange, or acknowledging the true meaning behind someone’s actual spoken words – these things resonate beautifully in the space of the story. Although I fell madly in love with some of the sentences in this book, I did take some issue with the pacing. Grigorescu does an incredible job of leaving the hoodoo element of things fairly vague, but still solidly creepy. I don’t need a big explanation of how the hoodoo magic works, and she brilliantly allowed the spirit world to float just on the other side of the glass, pressing its face against it to purposefully leer at the characters as though they were animals at the zoo. 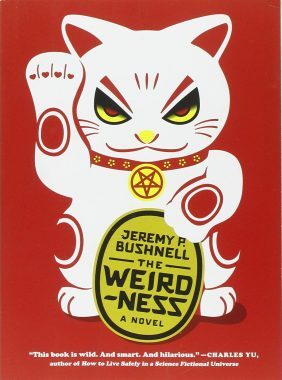 But at about 75% of the way through the book, I realized I didn’t actually know who the enemy was, and I was getting tired of the hazy references to “they/them.” It’s generally understood that the spirit world has some things in it to be feared. But they are specifically gunning for the main character, and I found myself needing more concrete information in order to keep caring. Dreams and symbolism (there are a lot of both) only go so far before I actually want a few answers. When we are finally given these answers, they feel underdeveloped, and the climactic event of the book is a bit rushed. It’s essentially thrown onto the reader at the end like a bucket of water. There’s something to be said for surprising the reader with a sudden event, but the ending can’t really be “sudden” because I know there are only 30 pages left in my right hand. The ending is also a little lackluster – I was expecting something maybe a bit more original than what I got, or at least something farther outside of what I expected. 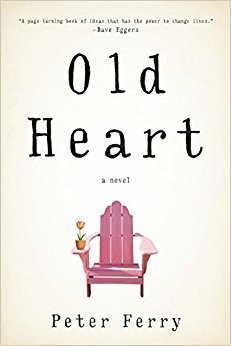 If you love character-driven stories, you will enjoy this book immensely. Every single character in this book surprised me with how tangible they felt. I loved them, and I hated them, and there were some that I love-hated. If you love quiet, building suspense, you’ll also really enjoy this book. 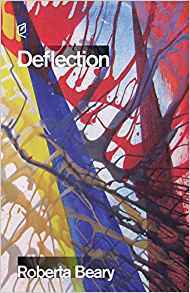 It spends a great deal of time marinating in its own secrets, and you’ll love following Hannah as she tries to navigate two worlds at once, both of which want different pieces of her. If you’re reading it for the mystical or supernatural elements that it promises, you will still likely enjoy this book, but don’t get too excited for a twisting, complicated plot. 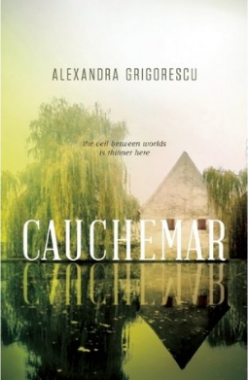 But despite its structural glitches, I still consider Cauchemar to be a tremendous work, and beautifully written. It’s intuitive, eerie, earthy, all at once human and otherworldly, and well worth a read.